FABERCA is a company founded in Singapore in 2001 with the intent to distribute, in the south-east Asian market, the products developed and produced by Faber Chimica – Italy, an international landmark in the field of chemical products for surface care. FABERCA offers to its partners a service of technical and commercial assistance, thanks to a professional and competent staff able to identify the most suitable solution to every single needs, and a product stock warehouse with a ready and large availability of Faber’s products. 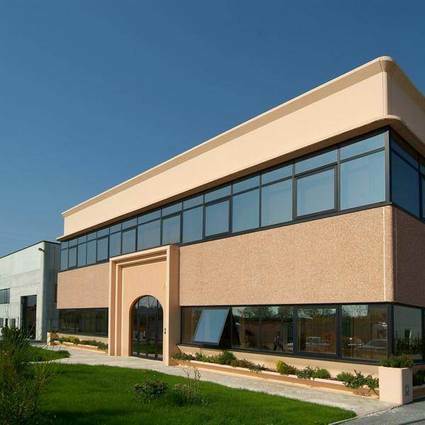 Faber Chimica Srl was established in Fabriano (Ancona), in the heart of Italy in 1986. It immediately took a central position in the industry for professional chemicals for the care, treatment and maintenance of building surfaces in natural stone, such as marble and granite, or in manmade materials, such as ceramic, stoneware, agglomerates and cotto. From the outset, Faber Chimica’s direct target has consisted of manufacturers of stone and ceramic materials, in Italy and internationally, and the company has established and consolidated important partnerships that have allowed it to study, formulate and develop unique professional products for excellent performance which today are used daily in the most prestigious architectural projects the world over. Thanks to the initiative, professional expertise and creativity of the whole company team, over the years Faber Chimica has been able to extend its business in Italy and on major export markets including Europe and the Middle East, as well as in Asia, such as China, Hong Kong, Taiwan, Singapore and Japan. Technical expertise, professionalism and respect, the ability to innovate and face the challenges of a continuously developing marketplace, have made Faber Chimica the undisputed leader in professional chemicals for surface treatments: the knowhow we have acquired over the years has allowed us to offer our clients the best possible solution, and not a simple, generic product. Anyone who has had occasion to interface with us is aware of and recognises the validity of our skills and technical support, meaning we can offer effective, definitive solutions to complex problems that many others have found to be unsolvable.